Sister Stephanie left us quietly and simply when she died peacefully in her sleep, on the morning of October 17, 2016 at Maryknoll Sisters Home Care Facility. Helen Marie Yasuyo Nakagawa was born September 23, 1922 in Seattle, Washington. Sister had a brother, Francis Nakagawa who has predeceased her along with her Father, Stephen Fukuya Nakagawa and her mother Magdalene, Itsue Nakagawa, her sister Margaret Iwata survives her. She was baptized with her family by Father John Murrett, MM on April 8, 1928, and attended Maryknoll Grade School from first through eighth grade, graduating from Immaculate Conception High School. Encouraged by her mother Sister Stephanie often assisted the Maryknoll Sisters, particularly in typing up papers for their University classes. She wrote, “I was very fortunate because I often met both of Maryknoll’s Founders, Bishop Anthony Walsh and Mother Mary Joseph… With all these contacts with Maryknollers, it is no wonder that I developed a Maryknoll vocation…” When Mother Mary Joseph came to Seattle in 1940 for her visitation, I had an interview with her. Sitting on a piano bench, we talked while she played… We decided I would enter Maryknoll on December 8, 1941. Little did we know what a fateful day that would be…” On December 7, she was in with friends in New York when they heard about Pearl Harbor so on December 8 they brought her up to Maryknoll as early as possible. She found a police officer waiting to inform her that she would be in the custody of the Maryknoll Sisters for the duration of the war. Sister was professed June 30 1944, making her final vows the same day in 1947. 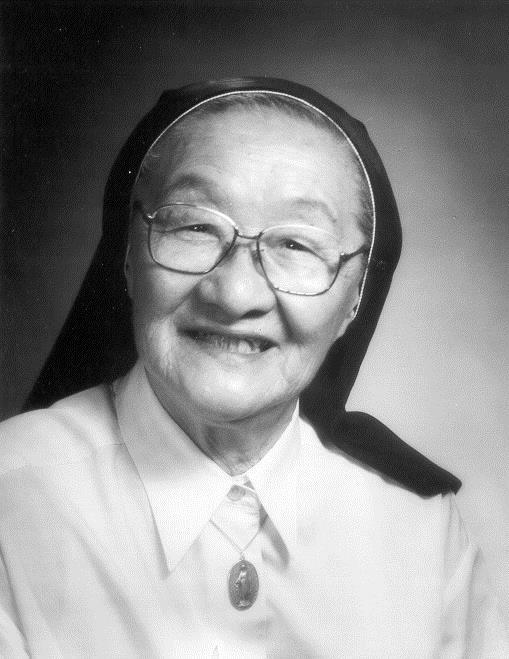 During the time she spent at the Motherhouse, she earned a Bachelor’s degree in Education from Maryknoll Teachers College. Sister was assigned to Hawaii in 1947. After teaching grammar school classes for 14 years in Wailuku School Hawaii, Sister was sent to Japan in 1961. While in Kyoto, she supervised a recently opened hostel for university students and continued her language study as an auditor at Kyoto University Graduate School. Then, in 1965, she went to Maryknoll Girls School in Yokkaichi, Mie Prefecture. There she joined the pioneers as they expanded their middle school to the next level, adding one more level each year to complete it as a middle and high school. In 1976, she studied at the University of Hawaii earning a Master’s degree in Teaching English as a Second Language. Sister Stephanie also taught Christian ethics and as an ESL Teacher was able to assist adult classes at the parish church and in the local community. Sister was always a kind but strict teacher ever helpful to her students taking them beyond themselves to find new talents. Sister left Maryknoll Girls School in 2001 and the next year returned to the Maryknoll Center where she cared for the clothing for our Residential Care Members keeping them all ‘well dressed’. Most of our Sisters at the Center at one time or another had their clothes mended or renewed by Sister who would never refuse anyone who needed her skill with thread and needle. The same could be said about corsages for the Jubilarians – even if they said not to bother – she would do it as her joy. Another enterprise for Sister Stephanie was the Japan Booth at our annual Bazaar. Sister brought her own Sister her husband and their friends to help us present a table worthy of Japanese Culture. In early 2016, Sister Stephanie entered our Home Care Facility. Noticing a change in Sister the staff increasingly gave her special attention and devoted care. It was a surprise to all when Sister passed so suddenly and quietly into eternal life. We thank the Staff and all who cared for Sister Stephanie during the short period she was with them. We welcome Sister’s family, relatives, and friends who are with us today. And we thank our Maryknoll brother, Father Kevin Hanlon, MM who will offer Sister Stephanie’s Mass of the Resurrection.